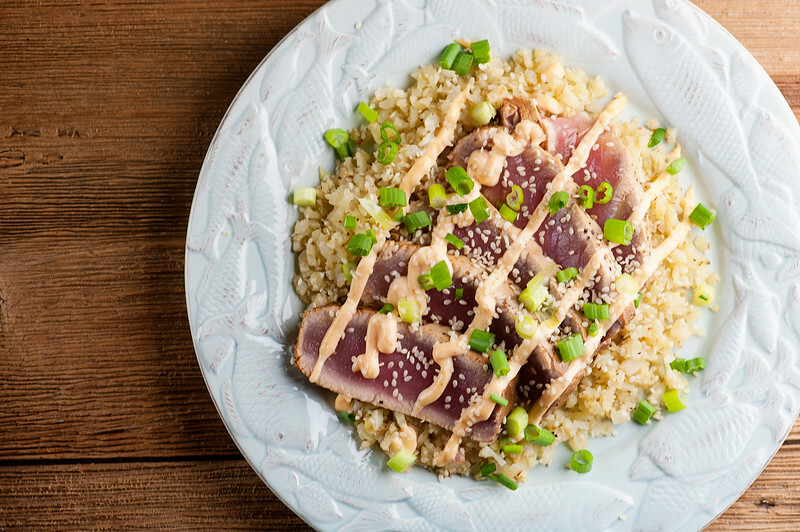 This easy recipe for spicy seared tuna adds a little bit of heat in the form of a Sriracha mayonnaise sauce. It’s both incredibly flavorful and so simple to make! The perfect seafood supper. This is the point in time during the year when I am all about searing my seafood (just a few days ago I posted about seared scallops) because now that it’s getting warmer, bathing suit season is looming. And there’s nothing better for keeping your waistline in order like having delicious, nutritious seafood a few times a week. 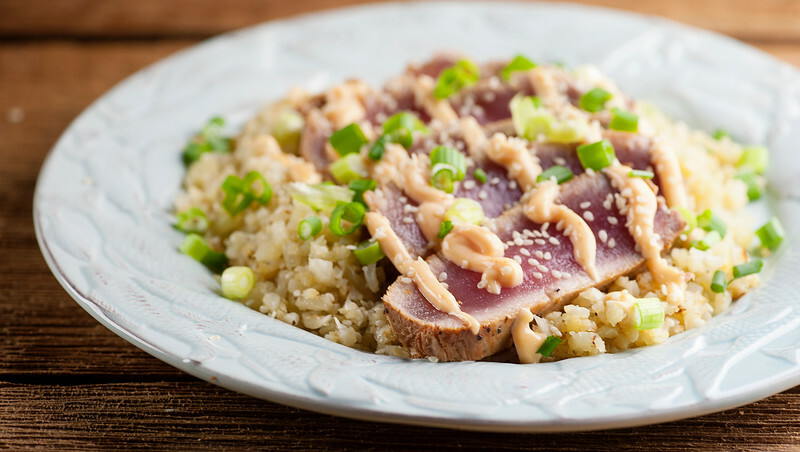 This spicy seared tuna is a particular favorite, because the spiciness comes via the easy sauce, which you can drizzle on liberally if you like things extra spicy (the Southern husband) or sparingly if you are spiciness wimp (me). Ready to sear up some scrumptious tuna? Let’s make it! I will admit that I blatantly rushed the upcoming summer season in terms of wearing my white jeans BEFORE Memorial Day. 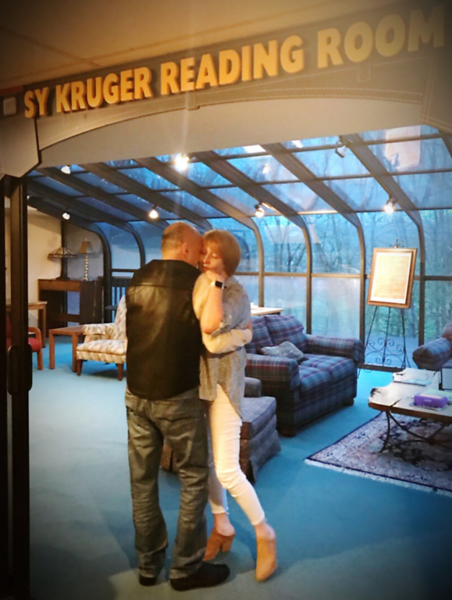 It was super nice out the other day, and the Southern husband took me to hear a Carole King cover band at our wonderful local library, and when they told folks to get up and dance, we DID. At which point my white jeans were captured for posterity. 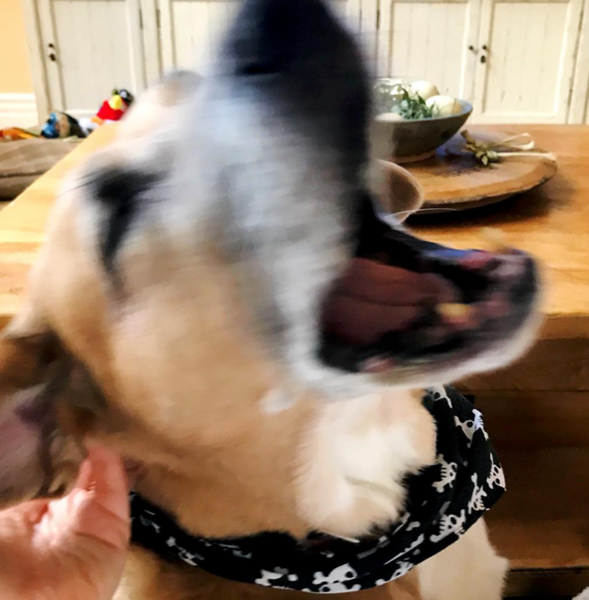 Meanwhile, other members of my household don’t care about either how they are fitting into their apparel or what the season is, so long as they can get a good scratch behind the ears every now and again. Back at the tuna, you want a nice thick tuna steak, which you are going to marinate in a bath of soy sauce and lime juice and sesame oil. When you are ready to cook it up, you want to sear it in a really hot hot hot pan for a couple of minutes a side. Here comes my regular plea for you to get yourself a cast iron pan, which is the perfect pan for something like this. The sauce is as simple as mixing up a little mayo with some Sriracha sauce. When the tuna is done, slice it up and drizzle it with the amount of spicy sauce that is right for your lucky diners. Sprinkle on some sesame seeds and some scallions and you are good to go. We had ours on a bed of cauliflower rice, which is my new favorite thing, and which also adds a veggie to this dish. Which will make fitting into those white jeans for the rest of the summer even more of a possibility. Happy spring and happy spicy seared tuna! Combine soy sauce, lime juice, sesame oil, salt and pepper in a zippered plastic bag. Add tuna steak and marinate for 3 hours and up to overnight. Make the sauce by stirring together the mayo and the Sriracha sauce. When you are ready to cook, add the canola oil to a skillet (a cast iron skillet is perfect for this) and heat over high heat until the oil is smoking hot. Add the tuna steak and sear for 1-2 minutes per side for rare, or longer if you like your tuna more well done. Remove tuna, slice and serve drizzled with the sauce.